Phans of Philly is going to Prague, and you can join us! We have great things planned, and we hope to add more along the way. If you know us by now you know we love to add late surprises to our trips when we can! We depart Philadelphia at 6:55 PM on Wednesday October 2nd. The flight is NON STOP into Prague at 9:15 AM Thursday October 3rd. We will check into the 4-star Grandior Hotel Prague where we will enjoy 4 nights there! The hotel is in a great location of the city. It is walking distance to all of the major attractions. It was given a 100 out of 100 walking score on Trip Advisor by guests who have stayed there. There is also a tram car and hop on/off bus located right outside of the hotel. You can easily access anywhere you will want to see in minutes. A full breakfast buffet will also be provided each morning. We have an amazing experience planned for Flyers fans on Thursday night. We will all gather and explore Prague in a unique way. 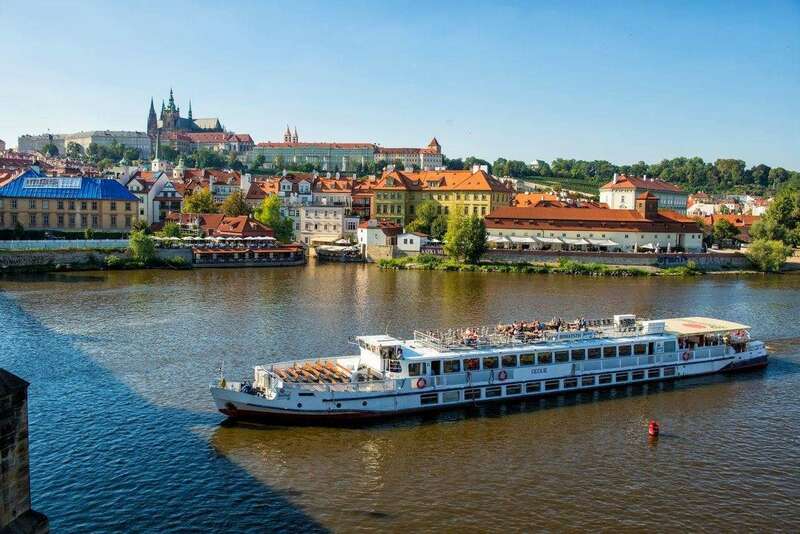 We will sail the Vltava River on our own PRIVATE BOAT for 2 hours! There will be an open bar, food buffet, DJ, and some great sightseeing! Sit back and enjoy the views of Prague (and occasionally chant LETS GO FLYERS as we sail!). We will make sure there is a Flyers flag flying high for all of Prague to see. When will you ever get the chance to be on a boat with 100+ other Flyers fans in another country?! Friday is game day! You can access the O2 Arena fastest by train. The metro station is a short walk from our hotel, and it takes just 15 minutes to get to the arena. There should be some awesome NHL sponsored events going on before the game. Let’s arrive early and take in the NHL Global Series experience! The game sold out in minutes, but we were able to secure some great seats for Flyers fans! The first 50 PHANS that sign up will all sit together, and be guaranteed row 10 or under in the upper level on the corner of the net. Being together is the way to go, so sign up early! We will be loud! 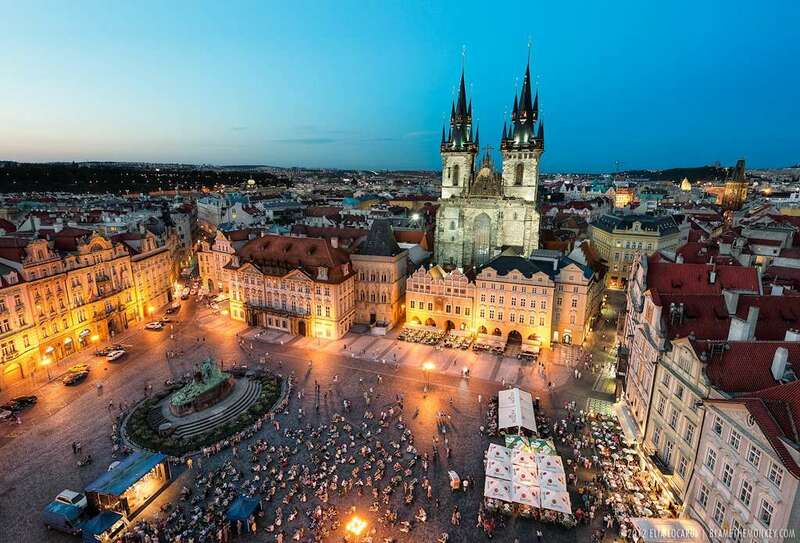 After we watch the Flyers win you still have all of Saturday and Sunday to enjoy the great city of Prague. There is so much to do and see. Availability is limited, and we expect to sell out. All it takes is a $300 deposit per person to reserve your spot. From there the remaining balance is broken into very flexible payments leading up to the trip, or however you may want it. Please refer to the payment plan tab for all details. The balance must be paid in full at least 30 days before the trip. If you have any questions please let me know! All deposits and payments are NON-REFUNDABLE unless trip insurance is purchased. Info on trip insurance will be included in your confirmation email. Your balance must be paid in full at least 1 week from the time you place your deposit to qualify for trip insurance. Please read the trip insurance info carefully before purchasing. Please check your junk folder if you do not see your confirmation email right away. You will receive a confirmation email from phansofphilly.com shortly after completing your order. Additional emails will be sent leading up to the trip. Please monitor your SPAM or Junk email folders if you have not received the confirmation or emails. For further assistance, please feel free to contact us. Thank you for your continued support of Phans of Philly! Below is a quick summary of what the package includes. Please refer to the description tab for a more detailed breakdown! Once you make your $300 deposit it will reserve your spot, and it will deduct from the total package cost listed. We just ask that all balances are paid in full at least 30 days before the trip. All deposits and payments are NON-REFUNDABLE unless trip insurance is purchased. Info on trip insurance will be included in your confirmation email. Your balance must be paid in full at least 1 week from the time you place your deposit to qualify for trip insurance. Please read the trip insurance info carefully before purchasing.